This is nicer than anything Icon has ever touched. Beautiful (over)restoration on BAT right now. 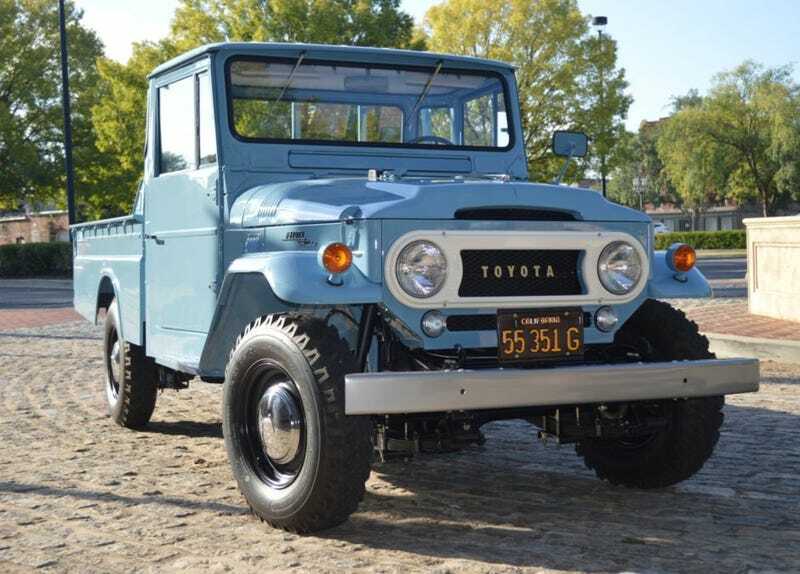 Recently there was an Icon FJ40 on BAT that got bid up to $130,000 - and did not meet reserve. Which I find interesting. Internet knowledge proclaimed that a second hand Icon would surely go for more money than a new one ordered from Ward, since the waiting list is so long and demand is so high. Doesn’t seem to be the case in reality. Then this wonderful example shows up. I doubt it will reach 130K because people with that much money to blow rarely have a shred of taste. But I’m very interested in seeing what it does bring, because work this nice is rare, and this is a desirable model. It’s already been bid past 40K, which seems to be around where the nicest examples of old cruisers top out at. That and look at it. The details on this thing are amazing. And the owner converted it back to 3 on the tree. Of course done this well, and this clean, its not likely to see much dirt or any trails in the future, I think.